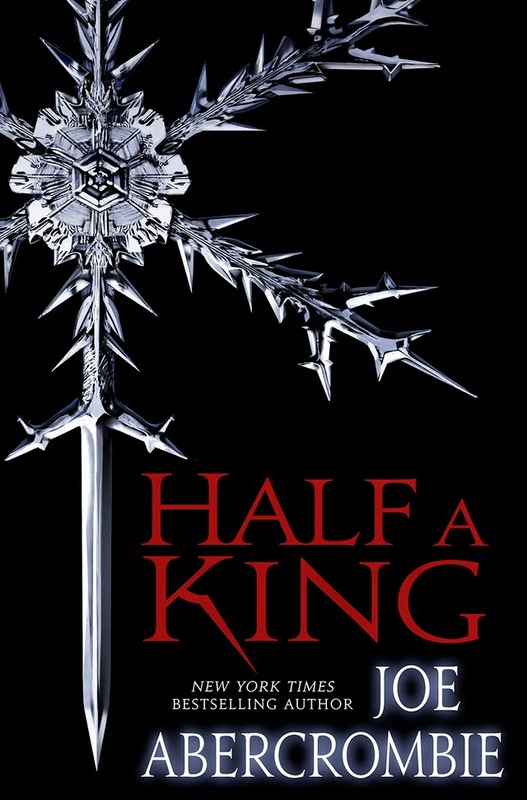 Half a King is the first novel in a new trilogy by British author Joe Abercrombie, the Shattered Sea. The book was released In July 2014 and will be followed later this year by both the middle and final novels, Half the World and Half a War. How is Abercombie's foray into the YA crowd? Why have I believed that Joe would be predictable? 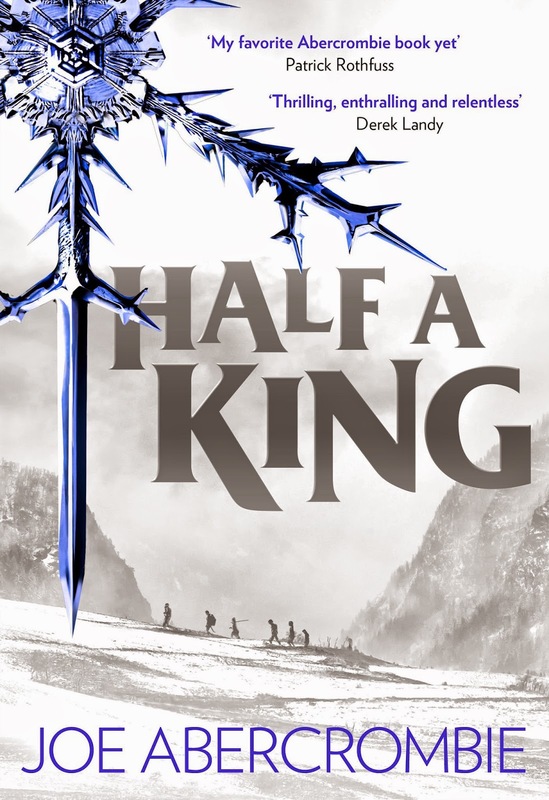 Half a King isn't really a YA novel in the conventional sense. The gory factor or murkier side of humanity isn't as strong in this first book of the Shattered Sea, but it's still not intended solely for the younger crowd... from 7 (or a bit more?) to 77. Anyway, do we really care if it's YA or not? Is it good, that's the real question? First and foremost are the differences between this work and Joe's previous books. Instead of jumping on the wagon with a number of power players already established, Half a King takes the overused farm boy with a destiny but reinterpret it in the guise of a deposed impaired pretender to the throne. Much more interesting. Furthermore, in contrast with the First Law series, the storytelling is more straightforward and offers a linear quest, even if it's around the sea. Joe's writing is less elaborate, consisting of very short chapters focusing a lot on advancing the plot and the essential dialogues. The book is more accessible even if the First Law novels weren't laborious to dig into. Yarvi, the main character, serves as an anchor to set the tone of the story. From the start, it's clear that his handicap, his maimed hand, in a patriarchal world glorying warfare and fighting prowess is a huge problem, even more so when you're part of a royal family. That's why he chose the path of the Ministry, associated with women throughout the book. He feels weak and as if he doesn't belong, but at least he found an opportunity. It's clear that he will have to overcome more than just the challenge of surviving as a slave seeking retribution. Then this fragile new possibility is shattered. He becomes king but swiftly enough, finds himself chained to an oar and starts making plans to recover his status. With only his mother as a possible and inaccessible trustworthy ally, his dedication for vengeance will allow him to make good use of his experience, knowledge and expertise gathered through his studies under Mother Gundring of the Ministry. From the necessary friendship he will make and the hardship of their collective flight, will emerge a whole new man. Yarvi will finally bloom, become the man would could have been king, such as he thought he never could be or hasn't had it in him. His mother's son. The mangled boy's tale is compelling but remember that the author is a character driven writer and it shows in the secondary characters accompanying the ex-king of Gettland, who swore an oath he won't abandon. I strongly believed in the process by which Yarvi was able to gather them to his cause, even if some of it is simply for survival reasons. A man nicknamed Nothing without much to say but fighting like no other, two fellow oarsmen full of opinions and a long life experience, another slave that Yarvi betrayed, and a romance worthy navigator. Nice cast. However, by the time they reach their destination and the eventual long awaited confrontation, a foe plays the "I talk for too long and give an opportunity for a kill" game, a secret identity is revealed, still shockingly, as a too fortuitous event (but spicing up the story) and some events are manifestly assumed but all this remains captivating enough. I'm glad that no joyful Disney endings were in sight but I wasn't totally enthralled by the ending. As I mentioned, Yarvi's the anchor to this world and it's a gloomy one. Eventually, the lack of merriment, even in the whole settings visited and people the unlikely group ran across, can create a feeling of bleakness. They say that you have to look at the journey and not the destination. While it's been an entertaining journey, for me, it wasn't a mesmerizing one. I like Yarvi and what he has become, I want to know what happens to him next, but it's not a powerful craving. A very good book but not an 'Abercrombie's great' one. Still, pick it up, you'll miss something if you don't. I really want to read this novel. I think my local library has a copy, but go figure, it's not going to be accessible to me since I'm moving tomorrow, so borrowing it is right out. Here's hoping that the library near where I'm moving will have a copy too, so I can finally get around to reading it! 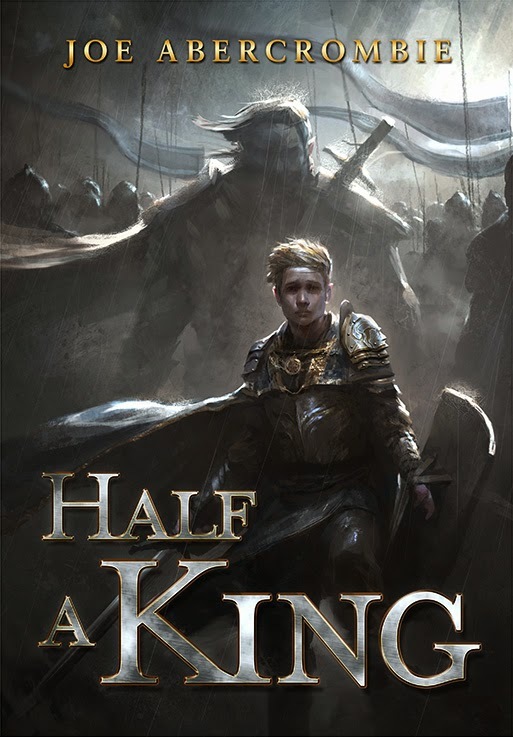 Half A King had me a little hesitant because of the character of a dwarf being connected to a royal family ie Tyrion Lannister. This was a completely unfounded concern because there is absolutely no similarities between the two, which is a good thing because I now have another series to look forward to reading. Thoroughly enjoyed Half a King, just was over way too soon.